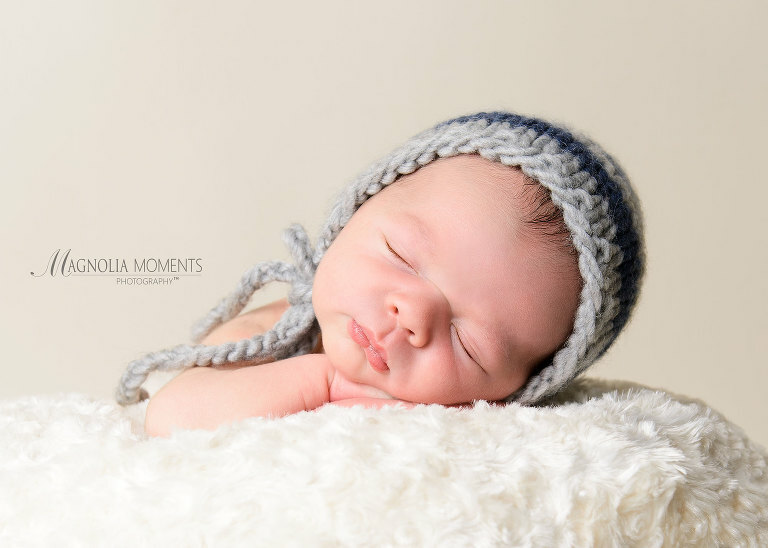 Check out this handsome baby boy who visited me in our newborn and baby photography studio in Collegeville, PA, for his newborn photoshoot. Loved him in the blues and grays selected for his session. 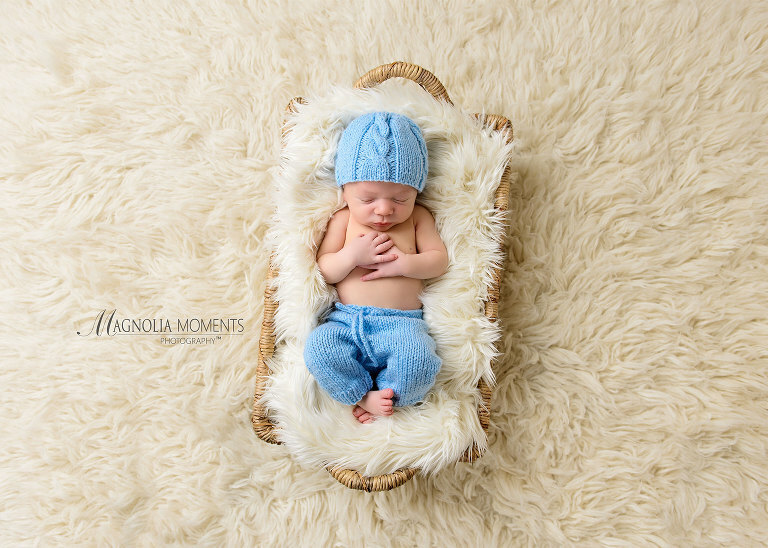 Newborn baby clothes are just precious and this color looked perfect on him. 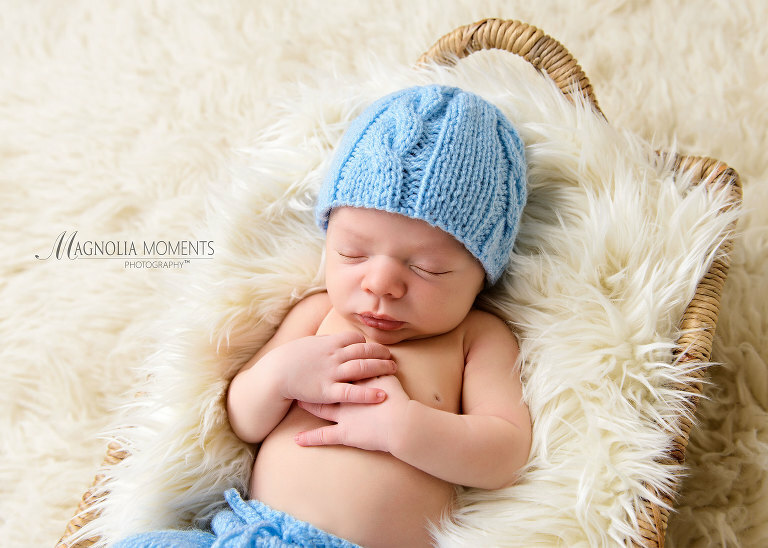 Thank you C family for choosing Magnolia Moments Photography as your Yardley newborn photographer. I so enjoyed meeting you and getting to spend time with your adorable little man. Hope to see you again soon! 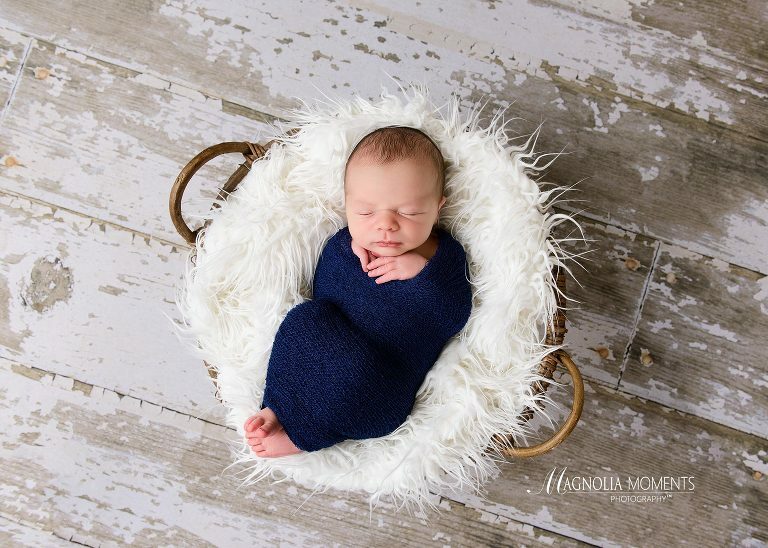 To see more of our newborn photography, please visit our blog here.